Our Philosophy – Detroit Wrecker Sales is a family owned and operated company. We started in the USA and we keep it in the USA. Every cylinder, bushing and pin is fabricated right here in Detroit. In true American tradition, we strive to improve upon the ideas, practices and products of our predecessors. Our Low-Loader flatbed car carrier is the toughest, strongest, lowest tow truck in the world. Originally a European concept, we made it stronger, improved the design, and gave it better materials, to develop it into the exceptional machine it is today. Our company is built on the idea that a quality product makes a quality company. Our reputation rides on our products, which is why we put 100% into each piece. We make tow trucks that are bigger, stronger, tougher, and smarter! They’re more cost effective, and won’t damage the vehicles you’re towing. Built to Last – Handcrafted and built to last, we back every single pin and bushing we manufacture with a no-nonsense lifetime warranty. Designed to perform, and built with pride, we use superior design and superior materials to create a superior machine. We build products that don’t have the same built-in weaknesses as the industry standard issue. Built Stronger – We have developed the strongest equipment in the world! Industry standard construction uses Steel. Steel is strong. Steel is Superman. But like Superman, steel has a weakness: steel corrodes. Steel pins in steel bushings require meticulous maintenance, and if they’re not greased properly and often, they will start to corrode. Corrosion damages the pivoting mechanism, and will eventually require repair or replacement to avoid damaging the rest of the vehicle. If not properly maintained, the hydraulics could fail completely and you drop a vehicle. We use bronze bushings for our hydraulics. Like anything mechanical, it still requires some maintenance, but because It is much harder for bronze to corrode to steel, the mechanism stays stronger, longer. Built Better – We use bronze bushings for our hydraulics. Bronze bushings require less maintenance than steel bushings. It is impossible for a steel pin to corrode to bronze bushings, so there won’t be any corrosion locking up your system, like you could get with steel on steel builds. Sure, we would make money on the repair. But we don’t operate that way. Our Philosophy – Our philosophy is simple: superior product builds a better reputation. We build the strongest, toughest, no-nonsense machinery the first time, so our products get the job done, and done right. Our trucks out-lift and outlast the other guys. We build the truck of your dreams, and it will last a lifetime. All of our products are designed and built to last, so they require much less maintenance and service than the others. Our customers spend more time on the road, and minimal time in the shop. Our warranty is a direct reflection of the quality of our products. We know our products are superior, so it’s easy to stand behind them. 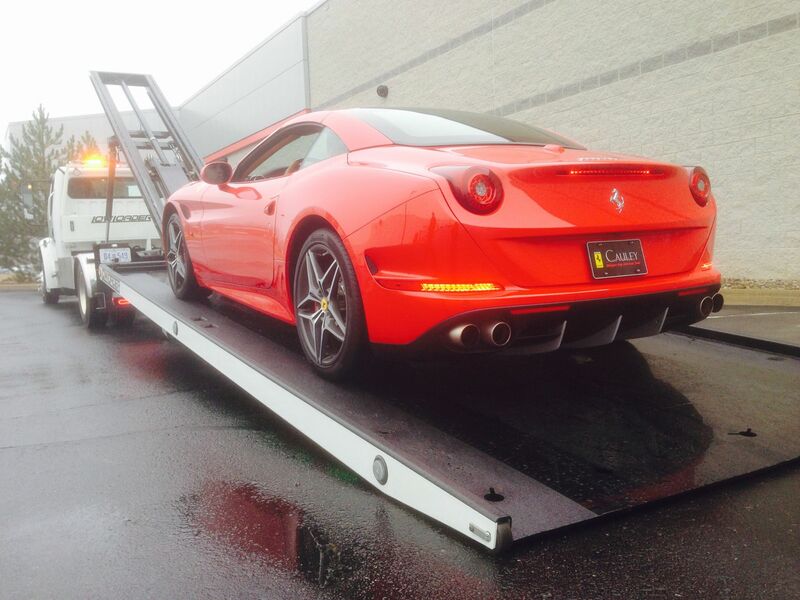 Have you been looking for the right towing experts? Look no further, We are the team for you.